← New Forest: stallions vs geldings – boys will be boys! 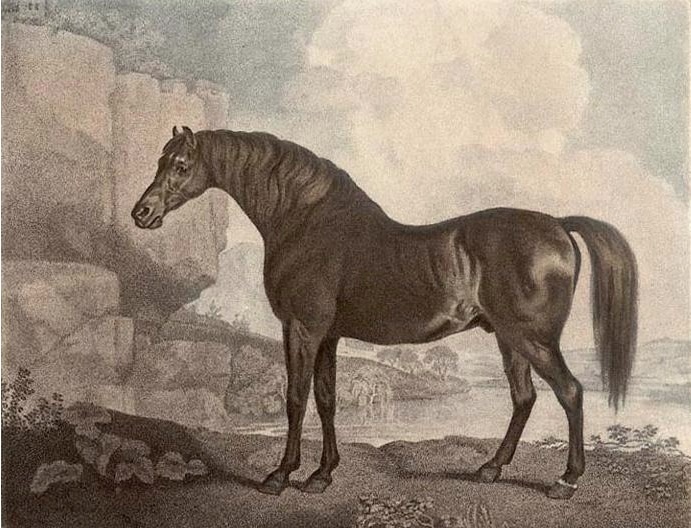 Marske (1750-1779) was used as a Forest stallion for four years and was the sire of the legendary racehorse Eclipse. In the month of May, just under 250 years ago, began the career of the most celebrated racehorse of his day and one of the most famous Thoroughbred horses in history. Foaled in 1764, Eclipse was a mean tempered colt described as chestnut with a bald [white] face and the off hind leg white up to the hock. Though smaller than most modern racehorses, standing at no more than 15.2hh, he had a legendary athletic ability. He was undefeated in 18 races, including 11 King’s Plates – major racing fixtures. He was said to run without effort and to win with such comfortable margins (reports estimate between 10 to 20 furlongs) that a phrase was coined in his honour; ‘Eclipse first, and the rest nowhere.’ People would substitute the horse’s name for their own or whomever they wanted to acknowledge as being superior. He was retired from racing, mainly due to a lack of opposition, and began his stud career in 1771. Sire to Eclipse, who ne’er was beat by none. Yet there had been some controversy, confusion and some would say even downright deception over Eclipse’s pedigree. According to some reports his dam, Spilletta, was actually serviced by two stallions, Marske and a horse called Shakespeare, before she eventually conceived. These allegations were strongly refuted and Marske is generally accepted to be the sire of Eclipse. Indeed, the fact that Marske became champion sire in 1775 and again in 1776, meaning that his offspring earned the most money through racing in those years, shows that he did have influence in producing championship offspring. So, why didn’t this celebrated racing sire produce any New Forest pony stock of note? There do not seem to be any Forest foals by Marske in his four years as a stallion at Bisterne that have made their mark on the horse world. The answer could be quite simple. It would appear that Eclipse’s racing genius came from his mother and not his father. When Eclipse died in 1789, following the tradition of burying the head, heart and hooves of champion racehorses, it was discovered that he had a large heart. The heart was not abnormal, just very big; in fact it weighed approximately 14 pounds. The average size heart of a racehorse from that era was about six pounds. The heart of a horse is the equivalent of an engine in a motorcar. In essence Eclipse was able to rely on a much more powerful engine than his racing counterparts. He received this genetic goody from his dam, Spilletta, and passed it on to his daughters and so forth and so on. (The large heart gene is passed on through the female x chromosome and Spilletta had it in both of her x chromosomes.) Much more is now understood about breeding and genetics than would have ever been known to the Georgians. Even though in the past the introduction of breeds, such as Thoroughbreds like Marske, Arabians, and other native pony stock have been attempted to refine and ‘improve’ the New Forest breed, the commoners have always insisted that the older bloodlines of Forest bred ponies have fared better out on the Open Forest. Indeed, since 1930 only registered New Forest stallions have been permitted to run with the Forest mares. This stipulation has ensured that the qualities of stamina, sure footedness, intelligence and affable natures have endured in the breed. In reality it is the Forest that has the biggest influence on the New Forest pony breed and it is the New Forest pony that has the biggest influence on the Forest. 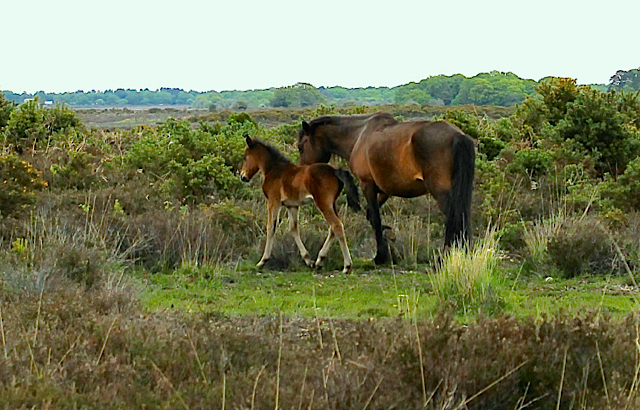 Since 1930 only purebred stallions have been permitted on the Open Forest to sire the next generation of New Forest pony. This entry was posted in New Forest pony and tagged Bisterne, breeding, Duke of Cumberland, Earl of Abingdon, Eclipse, foal, George II, George Stubbs, Georgian, guineas, mares, Marske, New forest, New Forest pony, Racehorse, racing, Ringwood, Spilletta, stallion, stud, Tattersalls, Thoroughbred. Bookmark the permalink.